After two years of lobbying the DEA to permit marijuana imports in the form of capsules containing THC and CBD from Canada into the United States for research at the University of California San Diego’s Center for Medicinal Cannabis Research, the DEA has finally said yes. Dr. Fatta Nahab led the campaign for approval from the DEA to let Tilray, a medical marijuana company based in Canada and one of only a handful of major exchange publicly traded marijuana companies here in the United States, ship the marijuana capsules over the border. 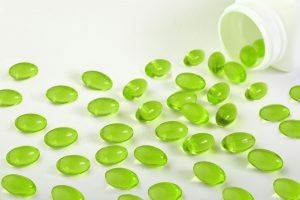 The specific research involving the marijuana capsules is to learn more about how cannabis can help treat a condition known as essential tremor. The approval by the DEA is surprising to say the least. When it comes to marijuana research, the DEA has historically been very strict due to the Schedule 1 status of cannabis. Marijuana for clinical trials has traditionally been approved by the National Institute on Drug Abuse which rarely approves requests and typically sends marijuana flower in the form of joints or for vaping from the University of Mississippi that has long been the only source of legal cannabis for research purposes here in the US. However, researchers have complained about the cannabis from the University of Mississippi saying that it is poor quality, not potent and lacks in variety. Not to mention that many people are not interested in inhaling smoke or vapor and so being able to access the marijuana capsules is essential to be able to include anyone suitable for the study. 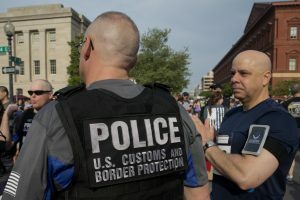 The decision by the DEA is also confusing due to recent news that the CBP announced plans to issue lifetime travel bans to the United States for Canadian marijuana employees and investors. Many Americans are more confused than ever now about where the United States exactly stands on the marijuana issue. Canada has legalized adult-use marijuana nationally and commercial sale of recreational marijuana is set to begin on October 17th. The assumption is that the announcement by the CBP was a warning shot to Canadians that marijuana is still very illegal here in the US. Will Tilray investors and employees be banned from coming to the US even though they can ship marijuana across the border now? The DEA also issued a call earlier this year for more federally approved marijuana cultivation centers for research purposes outside of the University of Mississippi center. This is not the first time that the DEA has requested applications for more growers, but to date the DEA has not even looked at any of the applications sent in. The Schedule 1 status of marijuana states that marijuana has no medical value and is highly addictive, however the strict status has prevented the research necessary to prove whether cannabis is very addictive or does not have any medical value. California has legalized adult-use marijuana and is setting traditional business standards by requiring lab testing for marijuana. However, research scientists require federal authorization to conduct research on cannabis.